International musical sensation Mika opened his career in 2007 with defining single Grace Kelly, which sold over 3 million copies worldwide and was the second British single ever to top the chart on downloads alone. The debut album, Life In Cartoon Motion, went straight to #1 in UK and 11 other countries, going on to sell over 7 million copies worldwide, plus over 6 million single sales. His 2nd album The Boy Who Knew Too Much went top 10 in 11 countries and his 3rd, The Origin of Love released in 2012, saw collaborations with Pharrell Williams, Nick Littlemore and Ariana Grande, amongst others. Mika has now sold over 10 million records and has Gold or Platinum awards in an impressive 32 countries worldwide. As well as being a songwriter and performer, Mika has designed clothes and accessories, is a writer (including magazine columns, blogs and work on a book), illustrator and artist. He is currently working on his 4th album. Both astonishingly musical and profoundly thoughtful, his tunes combine a heady euphoric rush with darker unexpected elements: daytime melodramas and night-time tales of love, loss, abandonment, hope and happiness. Throughout his many releases, these themes all run together for attention, each one a golden nugget. Mika is a true young internationalist. Born in Beirut in the middle of the 80s, Mika’s family soon found themselves having to move to Paris at the height of the war. When his father was subsequently taken hostage and held at the American embassy in Kuwait the family eventually settled in London. An inevitably turbulent experience for a young Mika, he found himself bereft, lost in the chasm of a displaced upbringing. “It was the combination of moving as well as a horrible time I had at school in the first few years of living in London that lead me to forget how to read and write, and stop talking for a little while. I was pulled out of school for over six months; in order to sort my self out and find a new school. This is when music really became important. It got me back on my feet.” He says now that by the age of 9 he knew that songwriting was his destiny. The electric performances that would win over some of the most hardened musical ears on the planet would come later. Unafraid to stand alone, his intimate first person and third person storytelling connect with outsiders while subverting the mainstream from within. Attention to detail. Personal care and attention. Making sure everything is sitting in the right place. These are the watchwords at Mika’s heart. His artwork, developed with his older sister Yasmine, is the first key that unlocks his work – and the music will do all the talking. Enveloped in an imaginative musical world of his own creation, he is one of the few British male pop stars of his age that doesn’t run with the pack. Classically trained, racially mixed and prone to theatrical physical gesture, he has become a scion of ambitiously delivered self-expression. He says his music can be condensed easily, ‘the basic principals are that it is joyful and empowering and doesn’t cowtow to fashion or convention,’ calling to mind an old and almost forgotten pop notion: individuality. Second time out, the songs may be different, but the attitude remains the same. 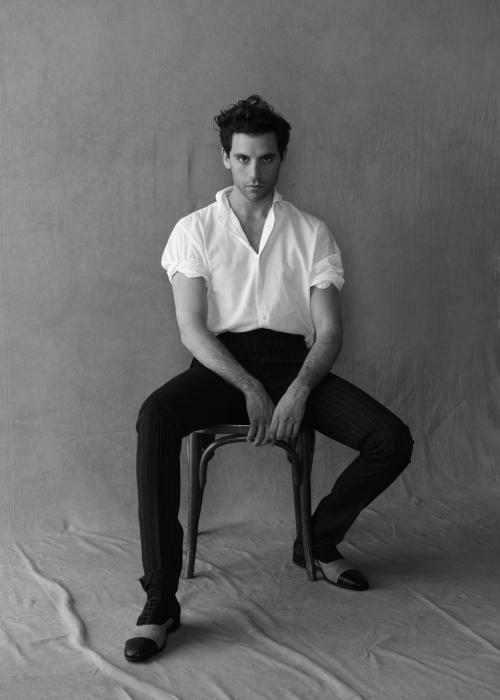 With huge choruses, nods to 40’s Disney soundtracks and 80’s synth-pop, up-beat disco and melancholy reflections on personal experiences, Mika’s music continued to be underpinned by an open-hearted and accepting idea of what living in the 21st century means in all its contradictions and complications. Part of the beauty of Mika has always been attempting to trace the correlation of his own personal insecurities or hang-ups into the choice of characters that he sings about. They often revel in or battle with their own difference, something he has done since he was a child. That outer layer has been replaced, but there is no lesser sense of grandeur or intrigue to the new, more open performer. A generic call to arms for people to throw a little glitter on their differences and celebrate them has been one of pop’s most tremendous gifts to music. Mika’s come with their own unique darkness too. At the start of 2011, Mika packed his kitbag to travel to Montreal to make his third record. The music that he had pulsed around the globe as an artist had been fuelled by ringtone appropriate hooks, streaming out of his musical mind like twisted nursery rhymes. In Montreal, that was all about to change. The sounds made by Nick Littlemore, the Australian electronic pioneer behind Pnau and Empire of the Sun, had caught his imagination and Mika went in search of this potential new collaborator. ‘Before meeting Nick, I was my own taskmaster,’ he says now, ‘I didn’t know how else to work. I was a 22 year old making up sounds in the corner.’ It was just Mika, his piano and his imagination. In the intervening five years since Grace Kelly went astronomical around the world and span off two multi-million selling albums and five global tours in its wake, a personal shift had occurred. As a songwriter and human being, Mika had grown up. For album number 3, a sensational collection of nimble, multi-faceted and spruce electronic noise has been fashioned. As a counterweight, Mika found himself enthralled by the Laurel Canyon sound of the 70s, the airily utopian noise of pastoral idylls in a new bohemia. These two strands have fused to form a sweet, harmonious new soundbed for Mika’s songwriting. A certain lightness of touch has been found, though always adhering to Mika’s clever signature rule for the record: ‘A lightness of touch does not have to mean a lightness of substance.’ Within all this something intentionally intimate emerged. Mika matured into an artist that no longer needed to hide behind costumery and artifice. In fashioning this acoustic/electronic sound-clash with Nick in Montreal he ironically made his most human sound – on The Origin of Love, his imagination has been fuelled by reality, not fantasy. 2014 and the start of 2015 saw Mika working tirelessly on his fourth studio record, ‘No Place In Heaven.’ Mika enlisted long-time collaborator and Grammy nominated producer Gregg Wells (Katy Perry, Pharrell Williams, Adele, Rufus Wainwright) to produce the new album. The pair created a mature new record that exhibits Mika’s incredible song writing talents and breath-taking vocals, evoking memories of classic 70s pop albums created by acclaimed song writers Billy Joel, Todd Rundgren, Elton John etc. The album was released to critical acclaim in June 2015. Mika has spent the past couple of years conquering the hearts of audiences across Europe, appearing as a judge on the X Factor Italy, a coach on The Voice France and topping the charts in France with the release of “Boum Boum Boum”. In addition to his musical achievements, Mika has been working closely with global watch company, Swatch, as their creative ambassador to create some unique designs for their collections. Following the release of the record, Mika went straight to work with a summer of festivals, a European tour in the Autumn and another season of XFactor Italia underway, as well as undoubtedly a few surprises….. The year ahead is set to be an exciting one!